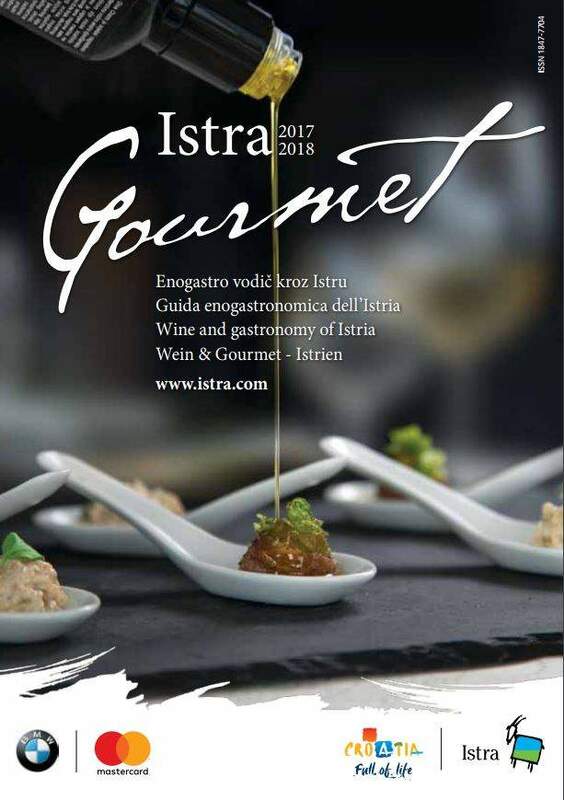 The wine and food guide to Istria, Istria Gourmet, has been advising lovers of traditional Istrian dishes and high quality wines for a number of years. Istrian gastronomy is renowned for its long tradition of flavours and scents born in the kitchens of homes throughout the peninsula. The local dishes Istrian cuisine offers, which simply must be tasted, are based on pasta, meat or fish and are accompanied by deserts such as round fritule (donuts), crunchy kroštule and cukerančići (types of cookies). The best restaurants, taverns and agrotourisms have earned their place in Istria Gourmet according to grades they received in the categories of food, drink, ambience and service, chosen according to the creativity and quality of their preparation, their selection, storage, presentation and serving of top-notch wine, interior and exterior design, staff friendliness as well as ambience, and the way staff receive guests and see them off. All these enticing addresses are open to all gastronomads, and tasting their specialties will convince you yet again that Istrian gastronomy is indeed unique. This Gastronomic Guide advises you to head to the Istrian hinterland and the trail will take you directly to the indigenous taverns where you can taste dishes with truffles. Because of its specific aroma this aphrodisiac melds perfectly into every dish, from appetizer to desert. Other than various types of truffles described in Istria Gourmet, another gastronomic specialty is the meat of the Istrian ox, the boškarin. Other than gastronomic delicacies, this wine and food guide also offers a list of Istrian wineries which in their wine cellars store excellent wines from the ever-present Malvazija, to red wines such as Teran and Refošk and desert wines such as Muškat. Should you desire to take the olive oil roads, Istria Gourmet has prepared a list of excellent Istrian olive oil producers and local oil mills and taverns.